Continuing with the instructions explaining how to e-mail DICOM files using Dropbox. Detail began in the July 2015 METRONews! Highlight images that you would like to send as DICOM files via e-mail. Click "Export, then click "Save." 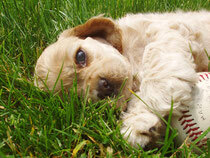 A message will pop up informing you the number of images exported and where the images are saved. Click "OK."
Note: Depending on how many X-Rays were exported and how fast your internet connection is, your images could take a little bit to synchronize to Dropbox. Once you see the green check box on the Dropbox icon, left click on the Dropbox icon, then left click on the globe. This will bring you to the website file list. Hover over the folder that was just created with your mouse. You will see a "Share" button display. When you click "Share," another screen will display. 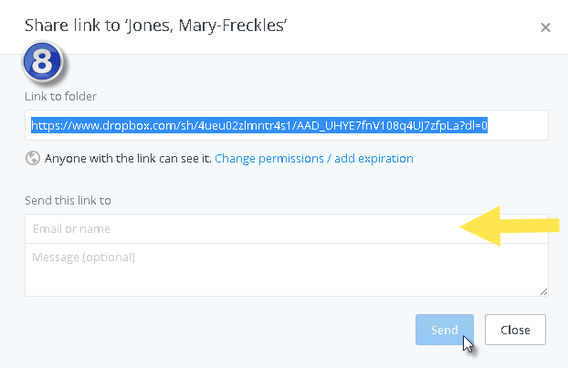 Select "Send Link..."
Note: If this is the first time using Dropbox to send images, you will be asked to verify your account. An e-mail with a link will be e-mailed to you. Click on to verify your account. After your account is verified, a screen will appear allowing you to type in your recipient's e-mail address and optional message. After all information is entered, click "Send." Note: You will receive an e-mail from Dropbox informing you this folder is shared. 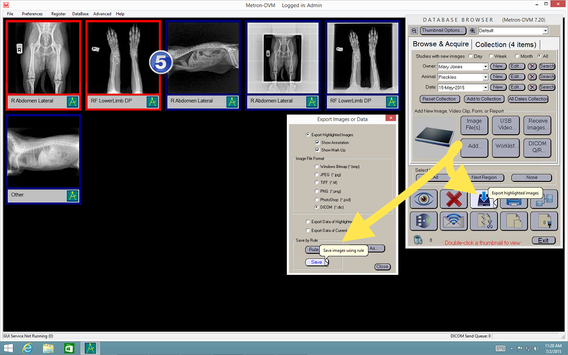 Want some help getting set up to e-mail DICOM images to another practice via Dropbox? 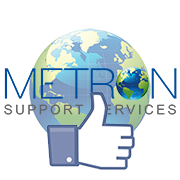 Or do you have additional questions about the Metron Software? Be sure to ask us! 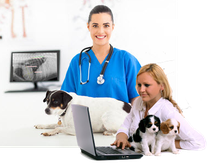 Your questions and our answers can benefit other practices. 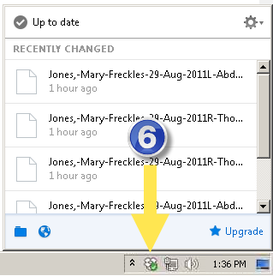 Click here for complete instructions for creating and configuring your own Dropbox account plus how to then e-mail DICOM images files using Dropbox!